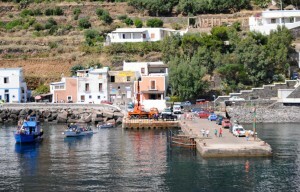 The island of Filicudi has 15 inhabited districts: Filicudi Port, La Guardia, Rock of Ciauli, Smooth, Valley Church, Serro, Canal, Church Pecorini, Monte Palmieri, Montagnola Stimpagnato and Pecorino Sea. 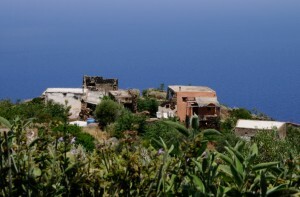 In addition there are the semi-abandoned village of Zucco Grande Siccagni and Ficarrisi. Each district consists of a collection of houses, once a farming villages. 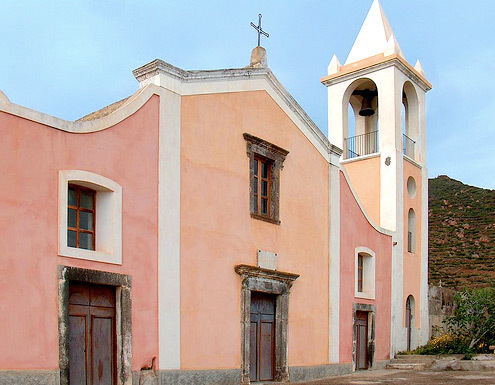 Most centers are connected by the only paved road that crosses the island 9 km from Porto Pecorini Sea (except for a detour that climbs in Valley Church, plus a quick link to the top of Channel) . But the best way to visit the districts is the system of mule trails that winds over 70 km in length and breadth, linking pleasant walks and places seemingly far as the Sea Port and Pecorino. Port of Filicudi the first part of the island you see landing. It is not the most beautiful, but the heart of logistics. Here you will find an ATM (often out of order), a petrol pump at sea and ashore, newspapers (sold in Port of Bar), tobacco and food (the Putia), a supermarket, rent scooters and boats (ask Alexander Saltalamacchia ) and a couple of restaurants (by Nino sea, Hippocampus, and ‘A Tana). Just before the bar of the door is a charming boutique that sells costumes, jewelry and other children. It will be almost the only outlet for shopaolics. At this point take the phones and Tim 3 (Vodafone and Wind take everywhere). Although we harbor, the water is so clear even a dive from the bridge is wonderful. The beach is pebbles, and becomes more beautiful walking toward the promontory of Capo Graziano. If you want to cool off after the trip, we recommend a stop at the Port of Bar (by Nino Sea) for almond granita or a Sicilian Cassata. The Guard has this name because it is a ridge which was once a volcano, which dominates the island’s two seas: the north and south of the Port of pecorino. 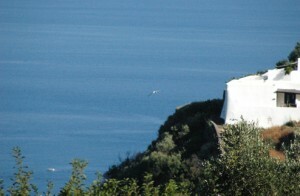 The Guard is the only district of Filicudi from which you can see all six islands. 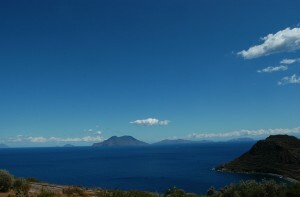 In order: Alicudi, Salina, Lipari, Vulcano, Panarea and Stromboli even. Not to mention the beautiful coast of Sicily, which can offer a clear day in winter the spectacle of the top ice Etna. The Guard is considered one of the most exclusive areas of the island, and in fact there are many celebrities who live here. Here’s the doctor, the Barrel restaurant, the direct route down to the port x and a wall with breathtaking views that you can not lose. Rock of Ciauli begins at the fork road near Villa Squad and climbs up the hill above. The trail access is known for its small altar dedicated to St. Stephen, the patron saint of the island. the district is not easy to access, but very pleasant and full of unexpected lush gardens. The white side by side, clinging to the Lanyard, are lined with hibiscus, bougainvillea and jasmine blossoms. Continuing along the trail is the only butcher island, which also sells other food products. Ask if there is a rabbit is sure to be wild and island (hint valid from September 21, the opening period of the hunt): Gino, the butcher, is a hunter. Until recently in Rocca di Ciauli could find the only phone on the island, run by an old woman called La Santa. Liscio is a district that stretches from the intersection of Villa La Rosa, up to a few turns before Valley Church, where the paved road that ends up. is an extremely panoramic area, facing east. The view is unforgettable sunrise rising behind the promontory of Capo Graziano, or the full moon that glows red sea, shows that are worth the trip. 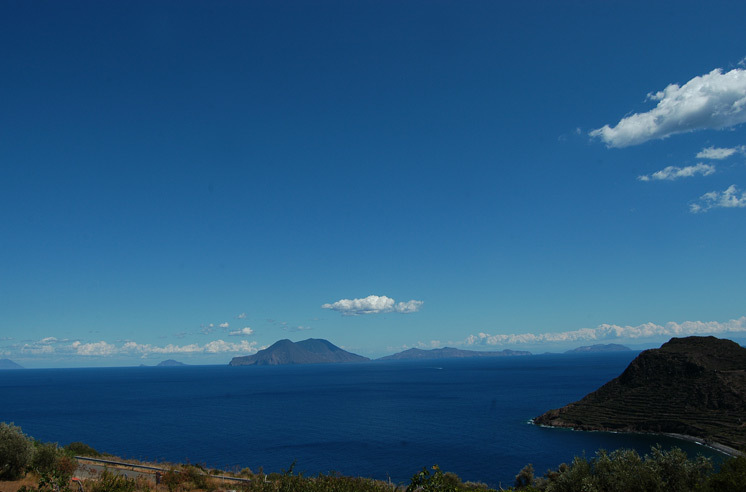 From here you can see all the islands except Alicudi and clear day the coast of Sicily. Heat is the best of Filicudi: not too hot like pecorino or too cold as Valley Church. is a very green, once the agricultural heart of the island, where they grow trees of eucalyptus. Here the houses are often large and important, this was the quarter of the islanders upper class. The Port also walk the trail “direct route” is very close. Smooth houses the elementary school, the only island. Church Valley of the quarter FilicudiVal higher Filicudi. Here in the evening, even in summer, takes a fresh breeze. The church, from which the area takes its name from the eighteenth century. Until very recently the tower was still visibly damaged by the earthquake that struck the island twenty years ago. Father Holy Spirit in this church every Sunday, celebrating Mass, the church grows in the garden a vine that produces a wonderful Malvasia. In summer you can find by following the directions at the beginning of a dirt road, a small handicraft shop that sells capers, cucunci, dried tomatoes, honey, royal jelly and a dream. The houses may look more rustic, with the ground instead of in front of the sea, or may be typically filicudaro style, with terrace and colonnade. 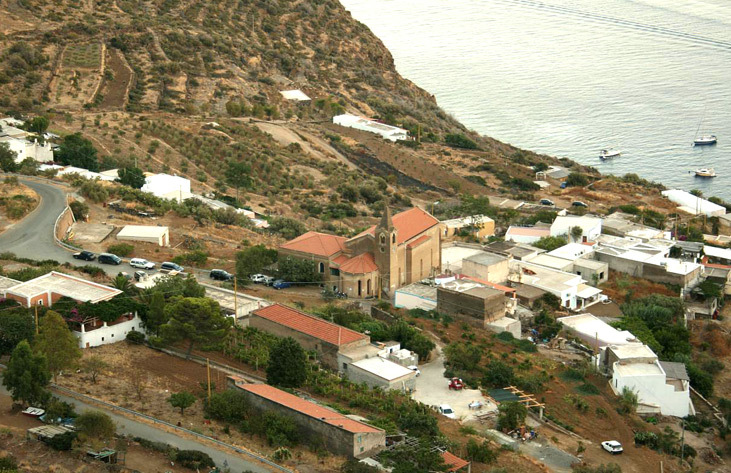 Worth a visit Folklore evening of August 3, night when we celebrate the patron saint of the island Santo Stefano. For lovers of fresh and for those who want to stay out of the most popular tours is the ideal place. In this country many still live filicudari. Here is the soccer field of the island, where, if you present to the fourth Sunday, also in August, you can place in unlikely Filicudi matches against the world. Serro is located behind Valley Church, beyond the pit Brigantina (a beautiful canyon covered in ferns, dwarf). Here, as in Valley Church, altitude definitely refreshing air. 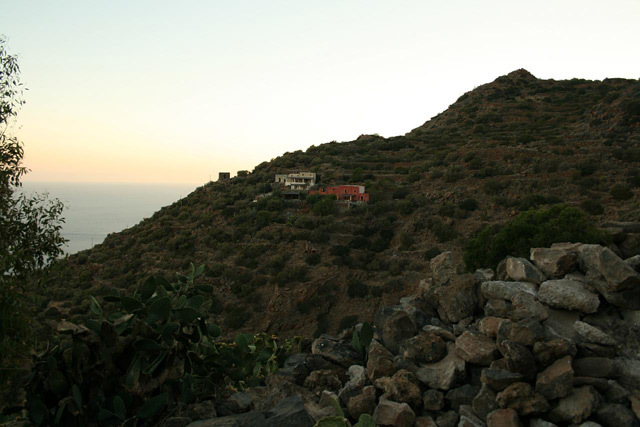 The houses, all perched on the mountainside have beautiful terraces and enjoy a breathtaking view. is a dominant point, from which you can see the whole northern part of the island. 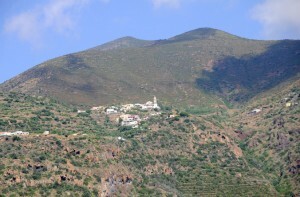 The trail leading to the greenhouse effect and the same leading to the abandoned village of Zucco Grande. 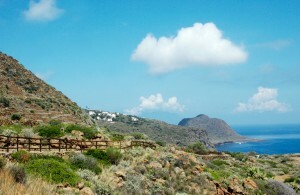 Along this trail you can see the beautiful cave Neapolitan artist Marina Clemente. Ask her and trying to seize one of his lamps, made from material found on the island are truly beautiful. A little further is the cave of friendly and jovial Ghiesbert, Gilberto told the islanders: an eccentric, interesting and environmentally friendly German who now lives on the island for 40 years. 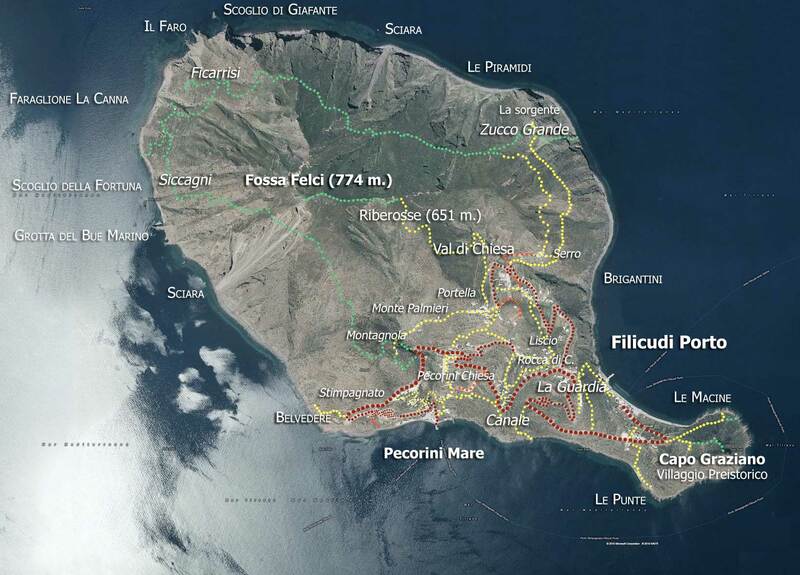 Let them tell the stories of Filicudi, he really knows all. Canale owes its name to the particular stream of fresh air that is created between the houses along the trail. In this country, at the start of the trail, at the top, there is the only Police Station on the island. 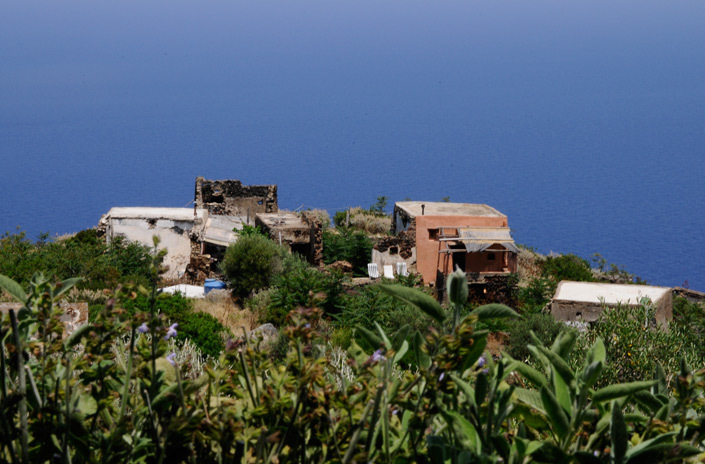 Most of the houses overlooking the canal on the south-east of Filicudi, with a beautiful view of the port of Pecorino, Alicudi and, in the days of mistral, Sicily. Continuing along the trail, you arrive at the Fortress of Ciauli. Until a few years ago there lived the last hundred years the island. 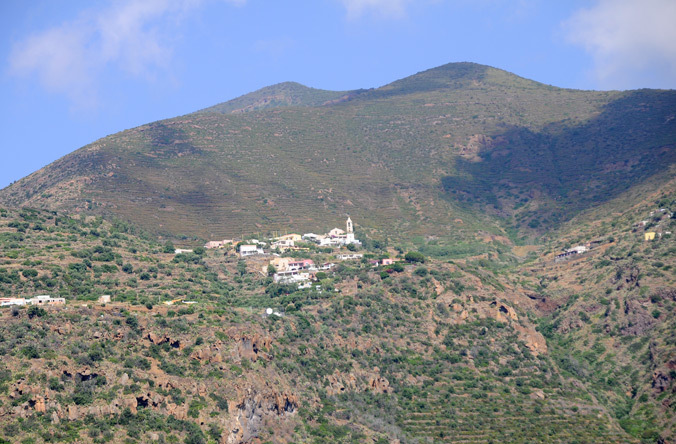 Immediately after the barracks on the left, where the dirt road to climb, you will find the home of Lawrence, said Lawrence Dell’Acqua, because it is the sole owner of a tanker island in case of tank dry you can ‘call for prompt intervention. His mother, Concetta, custom prepares the exceptional rabbit filicudara the bittersweet, with pine nuts and raisins. High pecorino is dominated by a church of the seventeenth century. The terrace is an ideal place to admire the sky, sea and marina Pecorini. The church is impressive but simple. 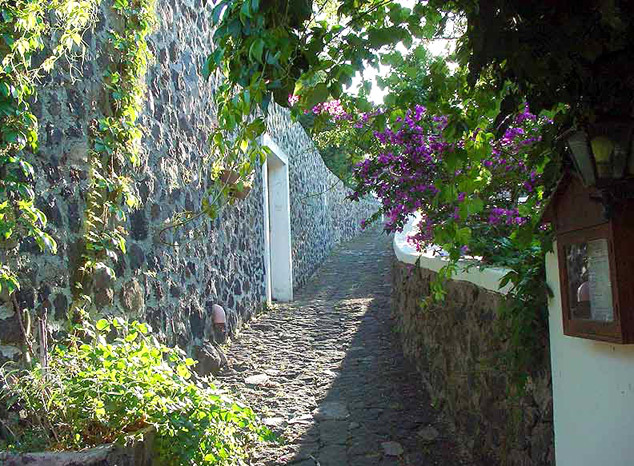 Going down the next trail, turn left, there is a beautiful house-museum of the Swiss artist Jacques Basler, which takes place every two years the smallest Biennial of art in the world, that of Filicudi. Continuing the trail you will find, after a hundred yards, the only place on the island. It’s worth a ride to realize the spirit of Filicudi. Amid the small room there is a huge and ancient filicudara grinding stone, and many other trappings from past eras. After the Post, you will find a huge almond tree, if passed through here in late July, so enjoy and try to cook squsita almond paste. 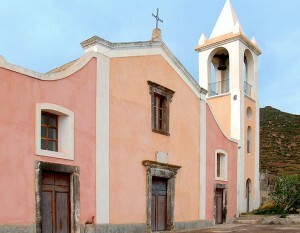 can be reached by mule Monte Palmieri which leaves the square with the Central Pine Valley Church. At the beginning of the path there is an altar dedicated to Our Lady. After a few meters, in particularly hot day you can relax in the shade of a giant apricot tree. Continuing, the district will spend the Portella (of houses of Valley Church), where he lives most of Filicudari. Next along the beautiful scenic route, you will find the houses of Monte Palmieri. The walk there is about 35 minutes and runs along the mountainside. Here the houses are typical Aeolian with colonnades and terraces. Most have not been restored and has remained in style filicudaro. In fact the works are difficult to implement: just think that an island accustomed Palermo did carry his piano with a helicopter! Towards mid-August with a delicious island feast and open with good play night (it’s a real luxury on the island because there are only two pianos). Hill is an area of Filicudi perched atop the mountain of the same name. 300 meters after the church Pecorini Alto, at the U-bend before Stimpagnato area, there are stone steps that climb up the steep dark. In mid August the inhabitants of the Red House is located on the top of Montagnola organize a big party open to all. The incredible view and the unique atmosphere of the festival worth the climb for half an hour that must be addressed to get there. If you decide to go to the party’s Hillock, you must stay at least until dawn: the descent into the night is not advisable (and dawn, with the islands before, is unforgettable). Who has a tight budget and is very athletic, can ‘rent a bed for an amount contained by the very people who organize the festival. Another interesting note is the recent archaeological discoveries of a large stone engraved funeral Proto Greek characters. Moving beyond the narrow road leading to Hillock on the paved road on your left you will see several access gates. Some of them lead to private houses, others are the gateway to the trail winding through the white houses of the district Stimpagnato. Here the houses are typically Aeolian with colonnade and terrace, and can be very large. 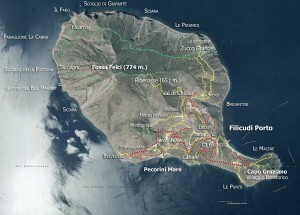 If you continue along the trail takes you directly to Pecorini Sea, which is less than ten minutes walk. The two key figures in the district are Pierluigi, now a naturalized foreigner, a fundamental problem for any type of electrical and Giorgio Gribanowski, another frequent visitor to the island, where you can ask to sleep. Pecorini Sea, FilicudiAlla end of the paved road takes you directly to the pier Pecorini, natural bay ideal for those who are on a sailing boat. 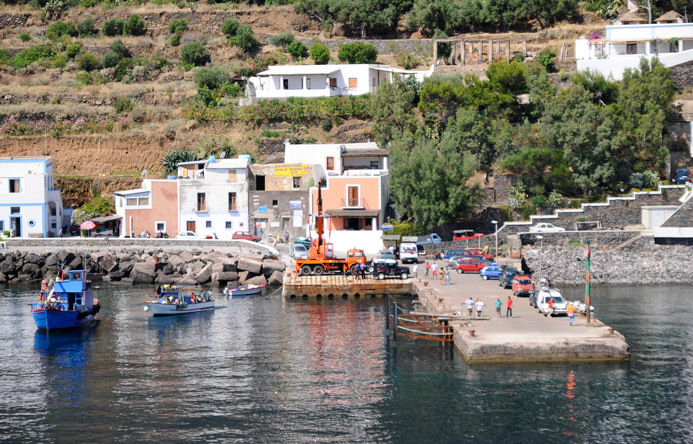 Here in Pecorini can eat in one of two local restaurants (Filicudi Yatchting Club La Sirena), have a drink at the Club or the Saloon, shopping by Mary, or rotisserie strafogarvi in the typical Sicilian Cliff (per hour of ‘Taste the dumpling appetizer of eggplant). If you want to rent a scooter, a boat, a canoe or arrange a diving, you can ask Dolphins Nino de Teran, or Marco Polo. The water is beautiful and there is a long pebble beach ideal for bathing. The aperitif is a must pecorino and summer, when they grow spontaneously parties going on till dawn, both off-season, when you tell the stories and legends of the island. Pecorini faces south and is very hot. But his energy is really special, and a pleasure to stay there. Zucco Grande FilicudiZucco Contrada Grande is an old abandoned. To get there you must walk two kilometers of trail, and leave the inhabited part of the island behind. Zucco Grande was undoubtedly the most prosperous section of the island, with a source of water (only) copious gushing. 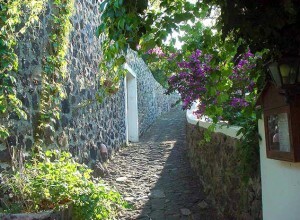 Today is reduced to one rigolo, but the vegetation of the place is still among the most lush of Filicudi. It is said that Zucco Grande inhabit the island’s most beautiful women. 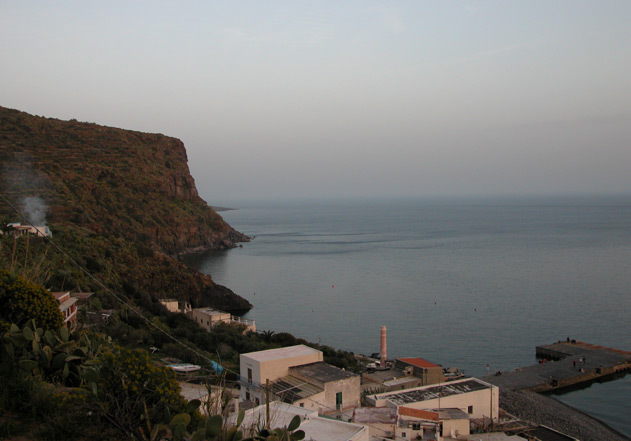 The legendary Triolo, historical memory of Filicudi, said that as a young man, departed in a procession with many other men and a musician to win the hearts of the inhabitants of Junoesque Zucco Grande. Today the village is made of ruins, and there hangs the magic dream of a world that was. 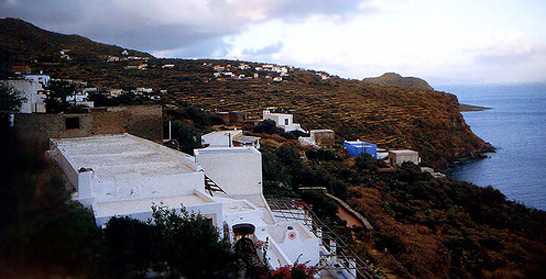 The empty houses overlooking the sea towards the islands, and are projected to the west, towards the open sea, with their brick eaten by plants. 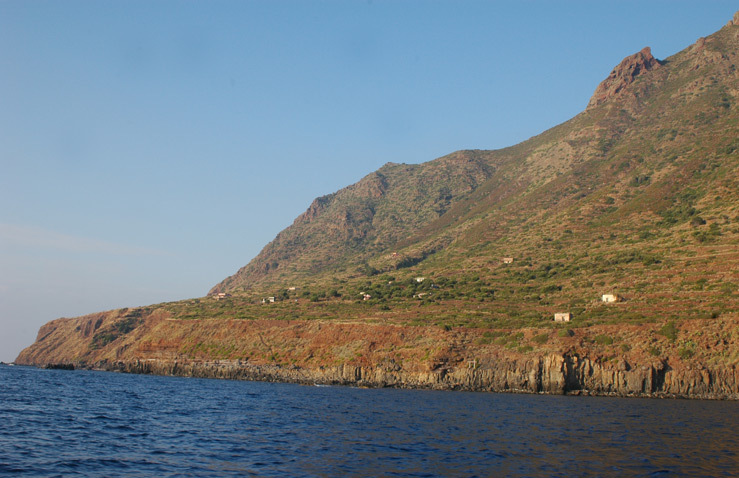 is probably the most beautiful point of Filicudi. The view is breathtaking Zucco Grande. From here you can ‘see the sun rise and set. If you come you can not lose the source, just minutes walk from the district. Although now empty, is home to a wonderful groove covered with natural vegetation. Upon booking you can eat and sleep economically John Mondello, said the Pirate. The trail is wonderful to get through very different points suggerstivi from skiing now covered with ferns walled volcanic lives, showing the different geological eras of the island. Lavas Zucco Grande are the oldest of the Aeolian Islands. This is indeed the first site emerged volcanic archipelago, about 600,000 years ago. Siccagni Ficarrisi and two small districts are abandoned (about thirty houses in all) that arise on the wilder side of the island that faces the barrel and Alicudi. is certainly one of the most beautiful of the Aeolian logos, even though there is absolutely nothing. To get here walk along the trail is 4 hours. 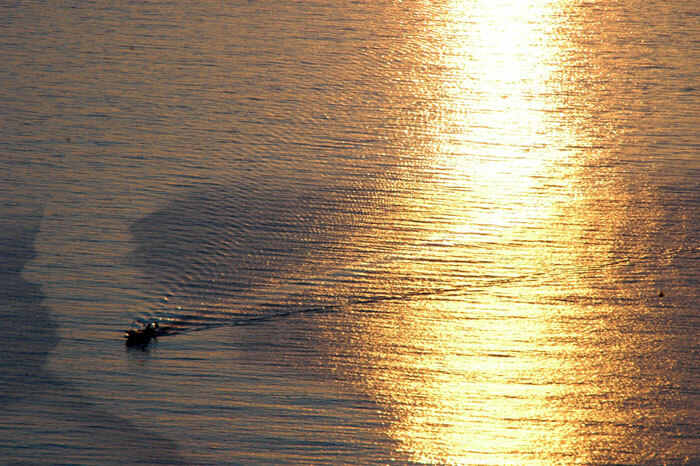 The alternative is to arrive by sea, but someone has to leave, because there are not suitable for boat docks. Probably the houses in these districts were the agricultural farms. Even this side of the island is in fact covered terraces. Nobody lives there for almost 80 years, although some characters in sight, most recently, bought the ruins, where they spend the holidays. Here the houses still cost little, and who does not fear isolation can ‘be true of a good choice.